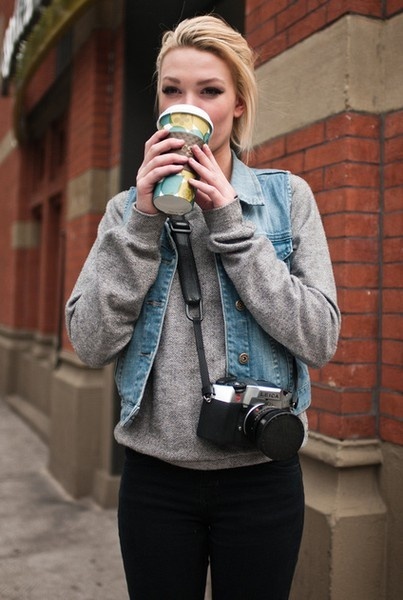 Get this photography outfit idea style with a jean vest look by sporting a gray sweater with the jean vest, black skinny jeans or leggings, and a nice camera! Add some more flair by adding a scarf or bracelets and necklaces. Don’t forget to pick up your favorite coffee!